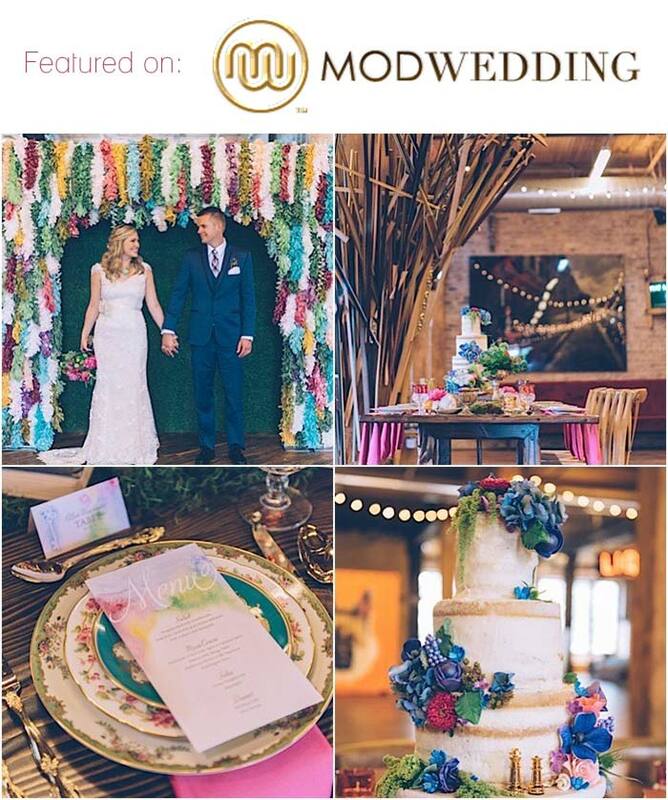 So happy that the wedding blog, ModWedding is featuring the Alice in Wonderland wedding styled shoot Hand-Painted Weddings collaborated with a lot of talented, creative vendors in Chicago on earlier this spring. As the article says, this wedding features “enchanting florals, from oversized peony blossoms to layers of moss, were complimented by other natural pieces, such as handcrafted wooden furniture and a naked cake.” These design elements worked really well with the whimsical watercolor designs I did for the wedding day paper and invitation (available in the invitation shop). I’m super excited to be currently working with a client who is doing a high tea for her wedding and is using this styled shoot as inspiration. This warms my heart because this is the goal of styled shoots….to inspire future engaged couples with ideas they’ve never seen before. I also love that I was able to collaborate with this styled shoot from afar…this style shoot took place in Chicago. I love these collaborations so much that I’m creating unique artwork for one in California in December and one locally in Philadelphia on Black Friday, so stay tuned on Instagram for behind the scenes glimpses of this unique, creative work.